(b) the landlord who is seeking possession or, in the case of joint landlords seeking possession, at least one of them requires the dwelling-house as his, his spouse’s or his civil partner’s only or principal home and neither the landlord (or, in the case of joint landlords, any one of them) nor any other person who, as landlord, derived title under the landlord who gave the notice mentioned above acquired the reversion on the tenancy for money or money’s worth. Now lets pick it apart. What this tells us is that the landlord must have given notice at the start of the tenancy that they will be using this ground to regain possession but that the court can dispense with it if they consider it just and equitable to do so. A bit of a vague term so how does it work in practice? There are several bits of case law that relate specifically to the court dispensing with service of the notice, where for instance oral notice was given which was not disputed by the tenant and the landlord would have been at greater hardship had the court taken a hard line on proof of prior notice being served. What is important to note is that the courts must take into account all of the circumstances before deciding to dispense with the notice. Factors such as whether or not the tenant or landlord would suffer particular hardship if possession was not granted for want of prior notice. OR the landlord wants it for themselves, their spouse or civil partner’s sole or principal home. There are cases where it was held that occupation both prior to the letting or as intended occupation after possession need not be permanent and can be intermittent. This is a mandatory ground, meaning if you have served prior notice and can prove the circumstances that satisfy this ground then the judge has no choice but to grant outright possession. Note that part (b) of this ground can’t be used simply because you want to sell the house or because you want anyone other than your spouse or civil partner to occupy as their home, not your brother, children etc. Well, the first thing a defence advocate would want to see is the prior notice and would talk to the tenant to establish whether or not they actually received it and confirm that they received it at the start. There isn’t a specific form for the notice, a letter would suffice and as mentioned above in some cases oral notice can be sufficient, provided there is no dispute over it. In many cases though the landlord will have put the notice in the tenancy agreement – which will be unarguable. What the tenant or their representative would then be looking for would be proof that the property had been genuinely occupied previously by the landlords, or in the case of joint landlords just one of them. Quite a difficult thing to ascertain and if the case was picked up at the last minute and there was a shadow over whether or not this assertion was true then an adjournment could be requested to allow time to clarify if this was indeed the case. 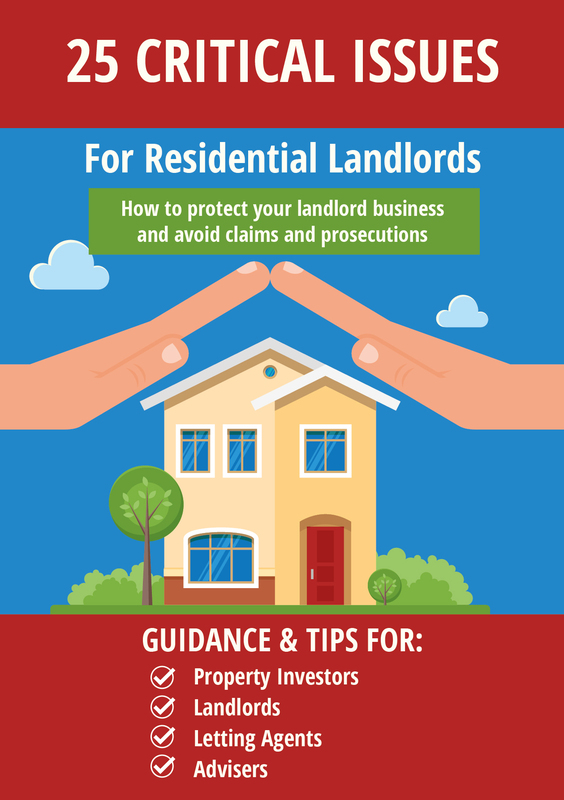 Bank statements, letters, payslips all addressed to the property at dates in the past could help but might not be conclusive depending on what other evidence is on the table which might indicate that the landlord was merely keeping the property as a mailing address for convenience. For the second limb of this ground, where the landlord (or one of them in the case of joint landlords) wants the property for occupation by themselves, their spouse or civil partner, an advocate would look closely at who is intending to occupy. Note that the ground does not state ‘Occupation by son or daughter’ for instance. Also, proof should be sought of the intended occupation. If the advocate finds the property up for sale on Rightmove or a local estate agent this may persuade a judge that possession should not be granted. So there you have it, the ground explained and the various kinds of defence that can be used against them. 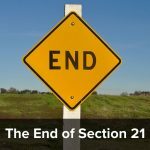 This ground tends not to be used much nowadays (even where it is clearly available), mainly because landlords prefer to use section 21 – because it is better known and they can use the accelerated procedure. However with the increasing regulation surrounding section 21, it is likely that this ground may start to be more popular. Useless facts – back in 1989 when the Housing Act first come into force, you COULD use the accelerated procedure for ground 1 but later this was changed so that the accelerated procedure can only now be used for section 21 claims. I have a feeling that the form was N5a (which is why the s21 form is N5b) but I see that form number is now being used for something else. Ben is an experienced housing advisor for Local Authorities and tenants organisations. He is also a regular contributor to this blog and an Easy Law Training trainer. « What rights does the victim of illegal subletting have against his landlord? 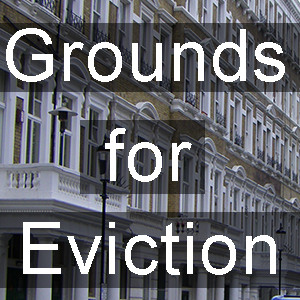 If a L/L is successful in Court with this ground and is awarded possession, what discretion in regards the time-frame does a Judge have to allow the tenants to move out….is this the same as for other grounds and allows extra time for ‘hardship’? Just the six weeks as this is a mandatory ground. Interestingly, having looked at s9 HA88 http://www.legislation.gov.uk/ukpga/1988/50/section/9 it excludes the extended discretion “on any of the grounds in Part I of Schedule 2” which will presumably include cases under ground 1 where no notice was given and the Judge exercised their discretion to make the order anyway. As it will still be under Part 1. This notice is in my tenancy agreement, which I find most odd as I doubt a landlord who owns over 300 properties has ever occupied a little two up two down in a scruffy part of town. So if he tries to evict you based on the notice, you will have grounds to defend. Can ground 1 be used within the fixed term? You can put it in all tenancy agreements, sure. I have a reminder about it now on the form used on my Landlord Law site to create our tenancy agreements along with some ground 1 notice wording for them to use. My understanding is that you can’t evict under this ground during the fixed term, although you could serve the s8 notice. I have read slightly conflicting advice online about whether this ground requires a landlord to return to the property or not. The advice here suggests that (assuming prior notice has been served) under ground 1 part (a) a landlord who previously lived in the house could serve notice to a sitting tenant if they wanted to sell the property (not live in it). Other advice I’ve read implies that the landlord cannot use either (a) or (b) if they intend to sell. 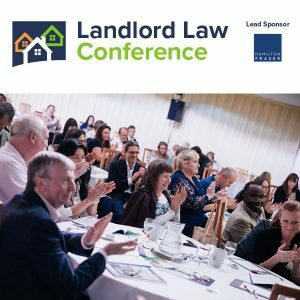 Does it make a difference if the landlord is currently renting and they are letting their own property under a consent to let rather than buy to let? Also would the landlord need to serve a section 8 notice or can they notify the tenant by email, or verbally? My understanding is that the landlord only need to give evidence that he wants the property back to live in if he has never lived in it before. The wording of the ground does not include any prohibition against using it if the landlord wants to sell (assuming he has lived in it before the current tenancy). I don’t think the landlords current living conditions matter, unless maybe the landlord forgot to serve the notice before the tenancy was made and is relying on the Judge’s discretion. ALL the grounds for possession require the landlord to serve a section 8 notice, suitably drafted, first. This is a prescribed form so any other form of notification would not satisfy the requirements.